At Work Monster High OOAK repaint Vinita. This summer has been quite busy here and I didn’t have much time for blogging… sorry for that. Right now what is new is my trying on repainting these cute little Monster High doll. Here is the latest one. 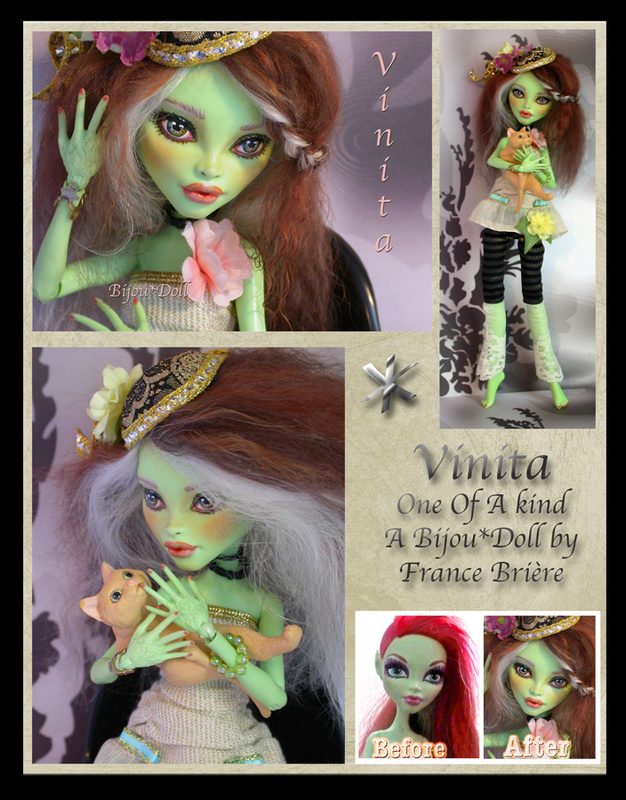 Vinita, presently on eBay until 8PM tonight (Monday).